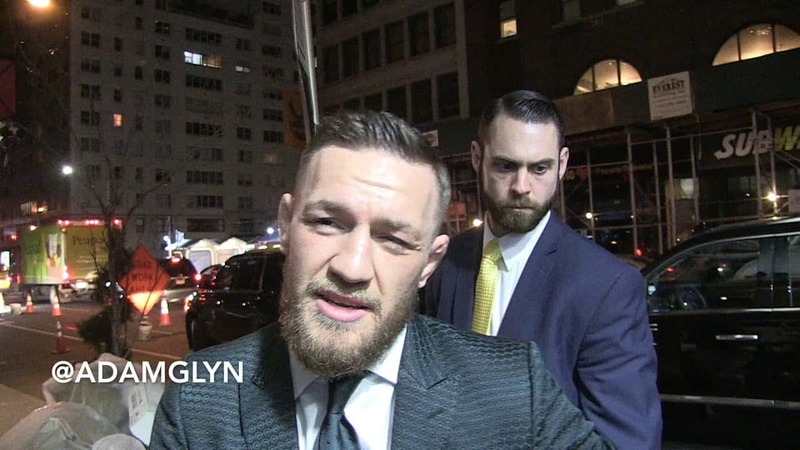 UFC lightweight champion (kind of) Conor McGregor has opened up on the possibility of a second money-spinning showdown against boxing legend Floyd Mayweather Jr. Both men, who collectively made close to half of a billion dollars for their summer boxing bout in 2017, traded barbs over social media this week, reigniting speculation that another fight may be on the horizon. While the worlds of boxing and MMA display equal ambivalence towards the prospect of another bout between the two sports’ most opulent and extravagant characters, fans are still wondering for the future holds for both men. McGregor, who hasn’t appeared inside the Octagon since Nov. 2016’s, UFC 205 lightweight title victory over Eddie Alvarez in Madison Square Garden, has still managed to hold that title despite his absence from MMA. Mayweather, who had confirmed that his 50-0 record-breaking TKO win over McGregor would be the last of his involvement in the fight game, has recently teased a move to the UFC. As unlikely as a Mayweather vs. McGregor bout is to most, a large portion of fans had the same opinion about witnessing “The Notorious” lace up gloves against the finest boxer of his generation. Where “Money” is involved, anything can happen. Watching Mayweather fight under the UFC banner (while he would more than likely have the lion’s share of the revenue and promotion earnings) is perhaps the only way to drum up anything close to the interest of their first bout. Those options contain two of the “usual suspects,” so to speak. The Irishman has not hidden his desire to eventually engage in a trilogy bout with Nate Diaz, seeing as both men would be one apiece, not to mention that it would likely be the highest grossing fight in terms of pay-per-view in UFC history. Given the fans’ expectation of this bout happening, it would be no surprise to see it happen within the next few months. As for Khabib Nurmagomedov, McGregor is unlikely to feel as confident. “The Eagle” is set to square off against Tony Ferguson for the UFC lightweight title, so there is no guarantee that there will even be a belt on the line if that fight is to happen. McGregor has previously indicated his reluctance to fight against Ferguson, arguing that “El Cucuy” is not a big enough draw. Rousey appears to now be done with mixed martial arts, following a spectacular fall from the top by way of a knockout loss to Holly Holm before an absolute battering at the hands of current UFC women’s bantamweight champion, Amanda Nunes.